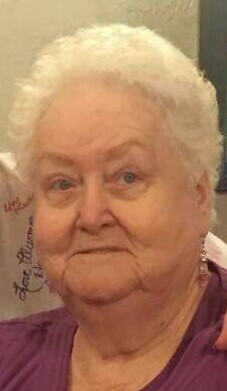 Our dear mother, grandma (Granny Shanny), sister, aunt, cousin and friend peacefully passed away, surrounded by her children, on November 24th 2018. Marshan was born on April 14th 1935 to Theo & Rose (Judd) Ungerman. She was married to Reid C. Wilson on July 24th 1953 and later divorced. Together they have five children; Marsha Dawn (Bill) Sherman, Sheila Rae (Danny) Stevenson, R. Tod (Kristi) Wilson, Kristy Gay (Sterling) Johnson, Julie Lynn (Rick) Truman. You hear about those that think they are legends in their own mind... That was never our mother. However, she is and always will be a legacy in the mind's of her children. Being a single parent of five children was an enormous undertaking of emotional, physical, and financial sacrifices for her. But she was a strong, determined, dedicated and compassionate woman who endured those many trials valiantly! Mom believed in the power of prayer and blessings, which got her through some of her most difficult times. In the hearts of her children, she will always be our supermom! We will always hold her in the highest esteem of love and gratitude for doing the very best she could do. Even in her declining years she tried to offer little things of comfort. She still worried about getting Christmas and birthday gifts to us and always managed to find a way to make it happen. But most of all, she began expressing her deep love and affection for each and every one of us. She had a fierce love and loyalty as her family was her ultimate pride and joy! She also loved her school bus kids. We often hear from them mentioning how much they grew to love her, how she made a difference in some of their lives, and to some; she was their protector and only friend. We found it amazing to witness with mom, that there was no such thing as a generation gap... She had and was friends with the young and old alike including every age in between. She was a woman of incredibly creative talents. Being taught by the generations at hand, she was gifted with a master's touch in all she set out to accomplish. Her quilts were of exquisite beauty and her quilting of the finest quality and detail. At times the hours she spent quilting would actually make her fingers bleed. She was a perfectionist and flawless seamstress. She loved crafts and crocheting and soon mastered the trends of the day, then loved gifting the grand finally to her family and friends. The gifts from her hands are our most priceless possessions! She was also, a wonderful cook, which was enjoyed by all. Her canning expertise was always beautiful, delicious and so appreciated when shared. Being a woman of unmatched humor and wit, it was a blast to be around the funny and fun-loving side of her. It was fun to engage with her in humor, only to be reminded that she would never be out witted. She is fondly remembered by so many because of her gift of humor. Oh, and of course her love of sports. She rarely missed a game her children or grandchildren participated in. She dearly loved watching the Utah JAZZ and had a huge crush on Karl Malone. Losing her eye sight and not being able to watch sports was one of her hardest and saddest trials. 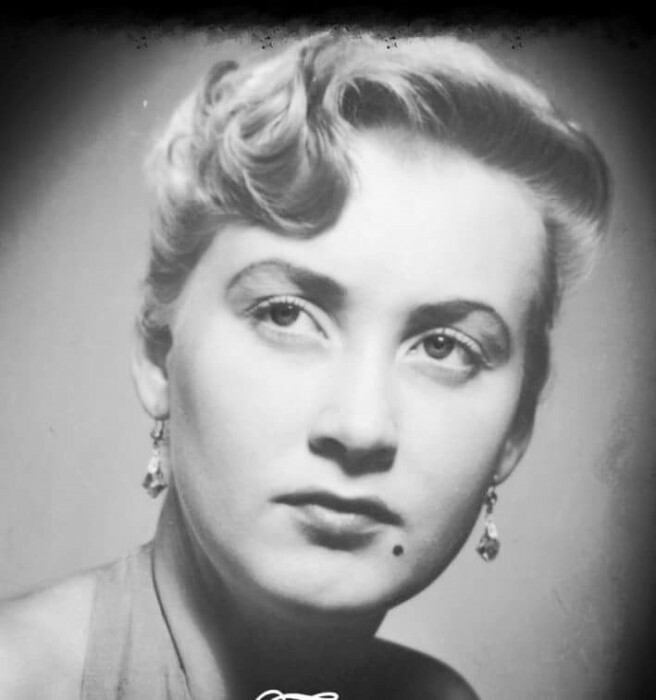 We can't speak of mom without mentioning that she loved to watch and read murder mysteries. Back in the day, she could hardly wait for half price clearance so she could buy the Hunter Drug store out of “True Detective” magazines. Would she have had the opportunity, she would have made a great super sleuth! We all love you and will miss you greatly! And so until we meet again, enJOY your reunions in Heaven! Mom is survived by her children, 19 grandchildren, and 29 great grandchildren with two on the way. Her brothers and sister; Keith Ungerman, Louis (Myra) Ungerman, Glen (Mary) Ungerman, Linda (Rick) Thomason. Also survived by her Special friend Marie Lindquist and many nieces and nephews. She was preceded in death by; her parents, Cody Sherman/grandson, Helen Ungerman/sister-in-law, and Michael Knop/son-in-law. We wish to express our heartfelt “THANK YOU” to her countless Angels-On-Earth who cared for her in her special times of need. Thank you for blessing her with your love, caring, kindness, and Christ like charity; which provided her the precious opportunity to remain a little longer where she most love to be.... Her Home!! A Memorial of her life will be held on Saturday, December 1st 2018 at 12:00 Noon at the Heritage Funeral Home, 620 North Main Street, Huntington, Utah. Family and friends can call prior to the service from 11:00 am to 11:45 am. Interment will be in the Castle Dale Cemetery. 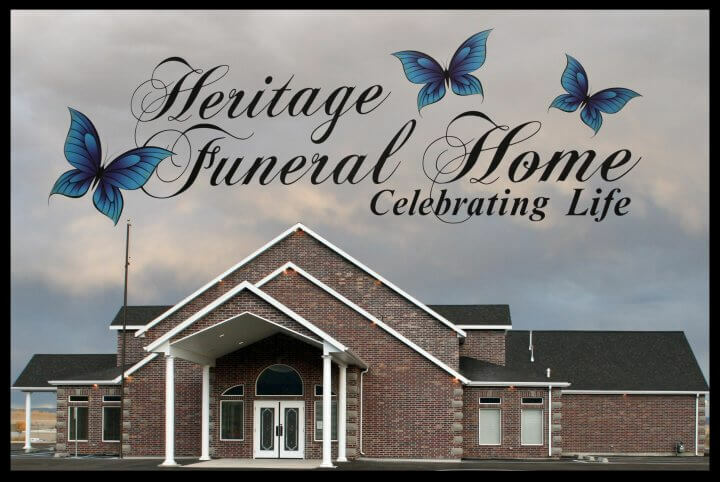 Family and friends may sign the online guestbook and share a memory of Marshan at www.heritagefuneralhomeutah.com.